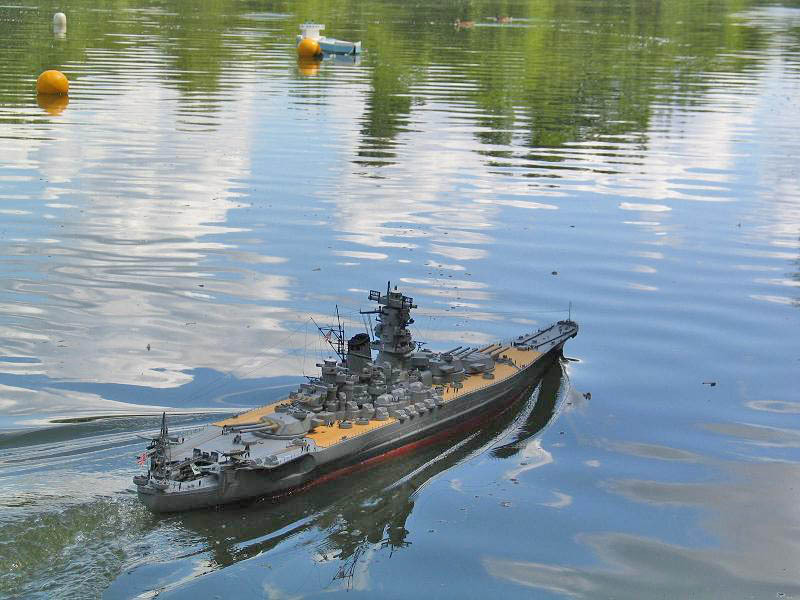 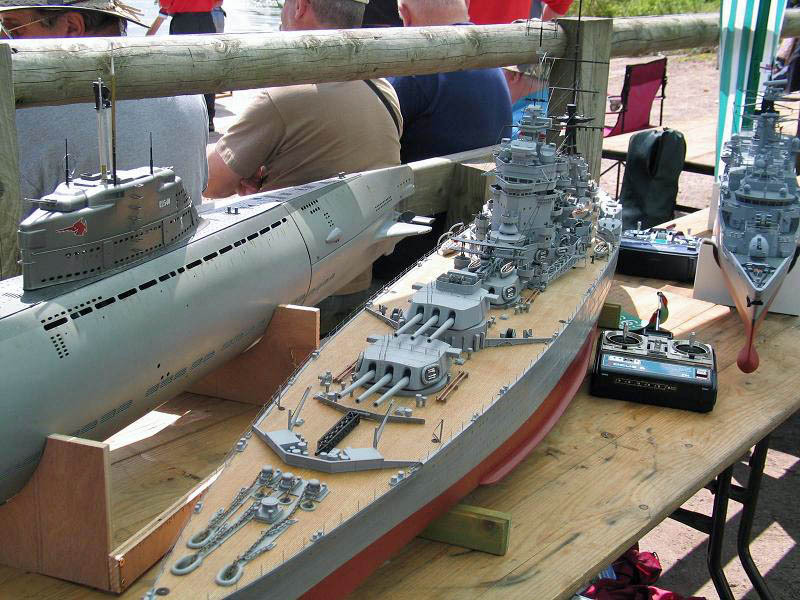 IJN Yamato in 1/96 scale. 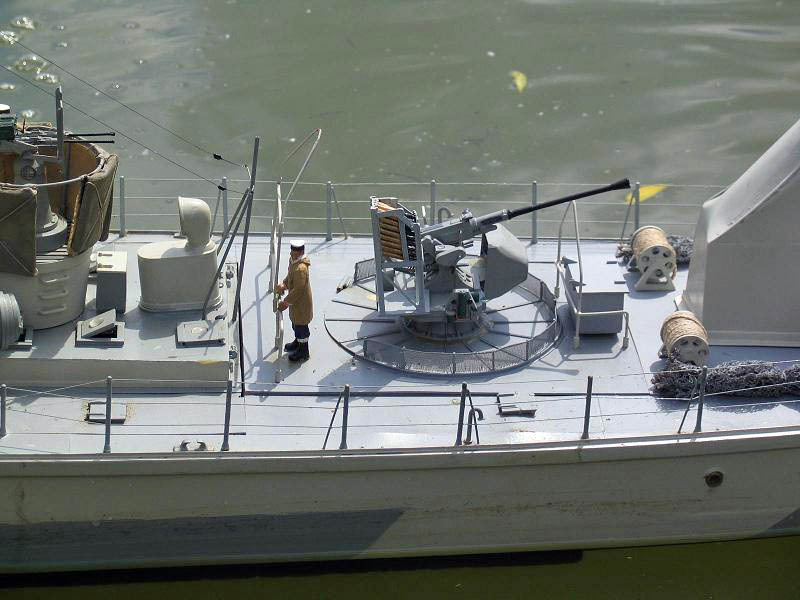 Yamato was built on a Fleetscale hull and was operated by Nick Newham . 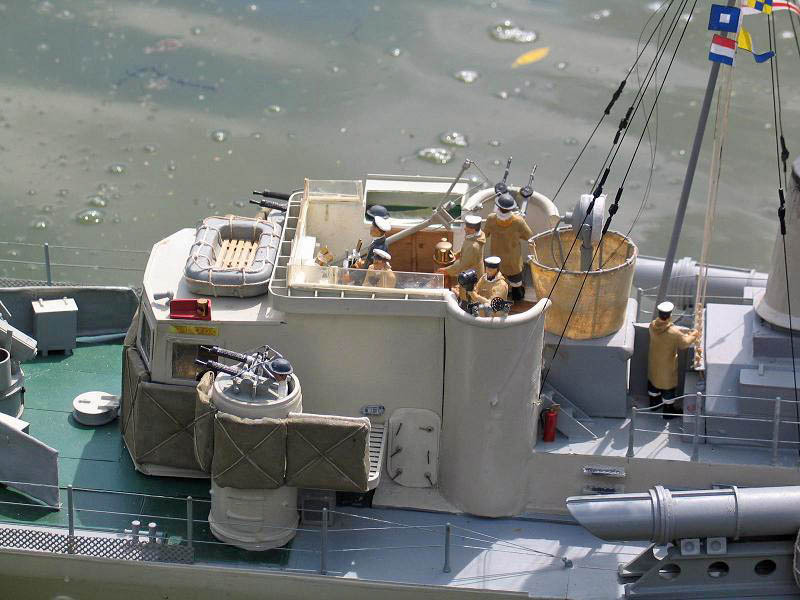 Working features include Guns, catapults, Float plane props and for good measure has a radio camera in the after 6.1 turret . 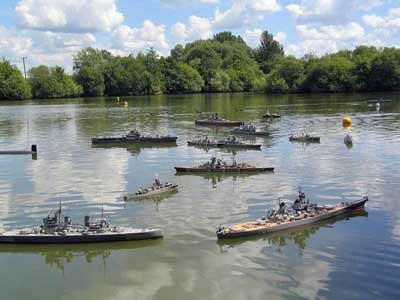 As the catapult moves into take off position the propellors on the float planes fire up . 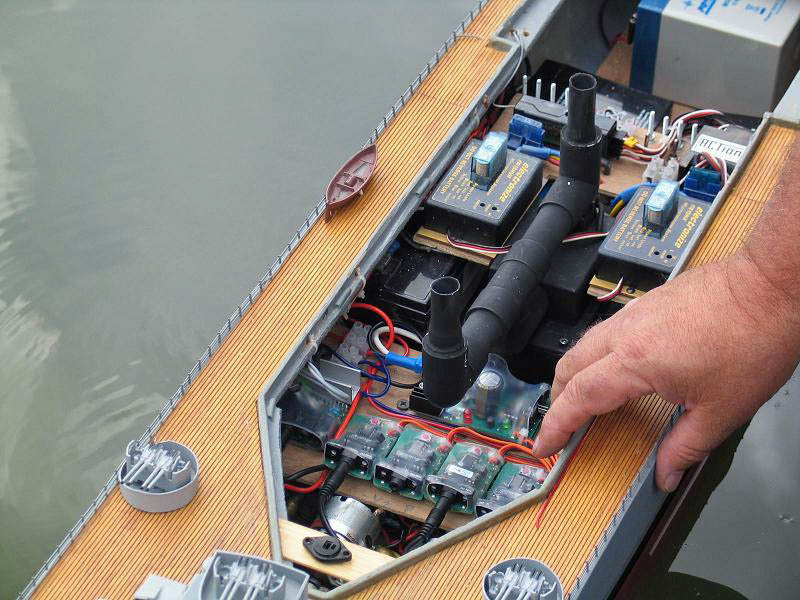 Power for the model is provided by 4 x 12v wiper motors. 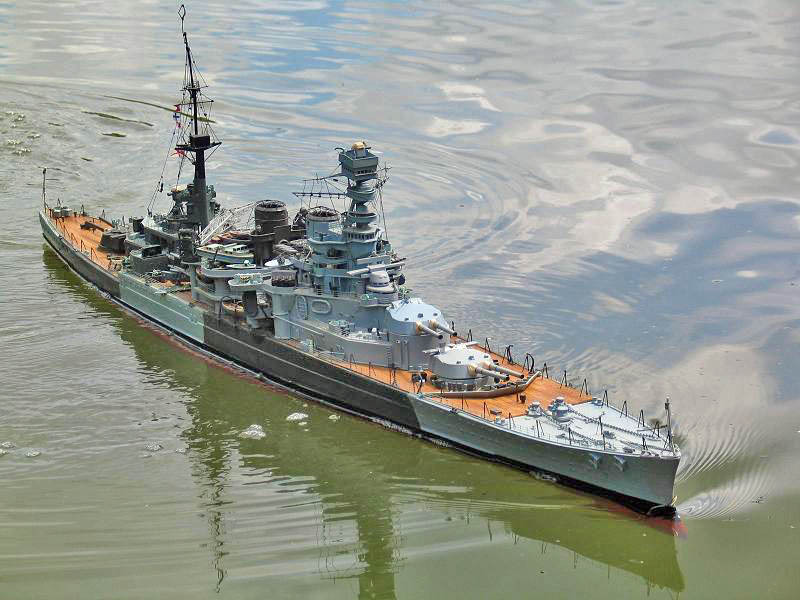 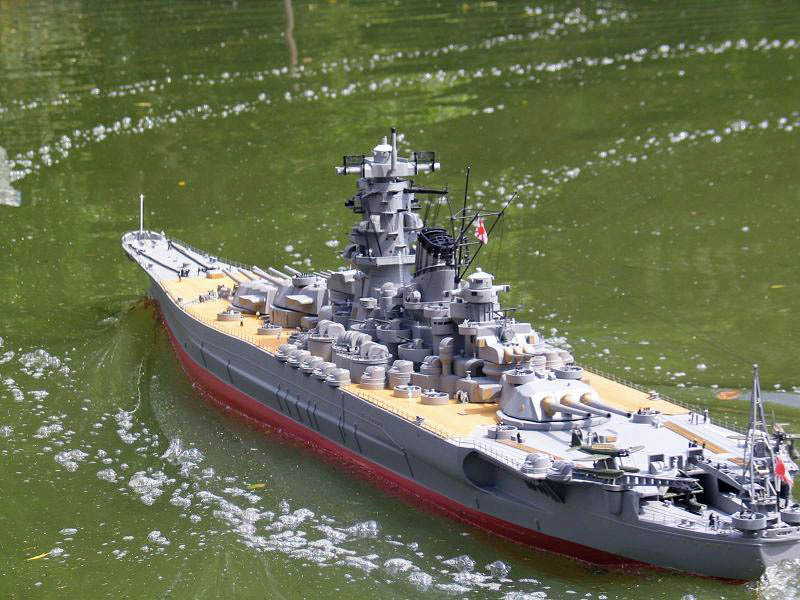 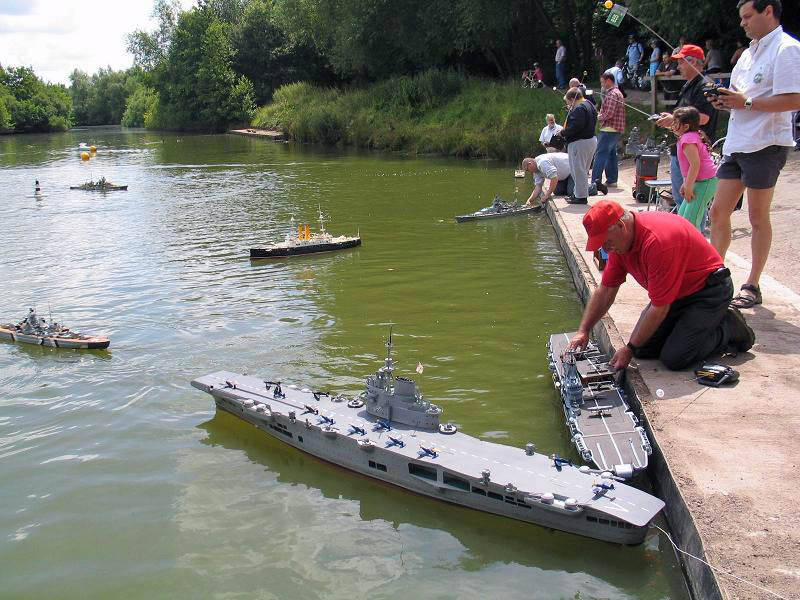 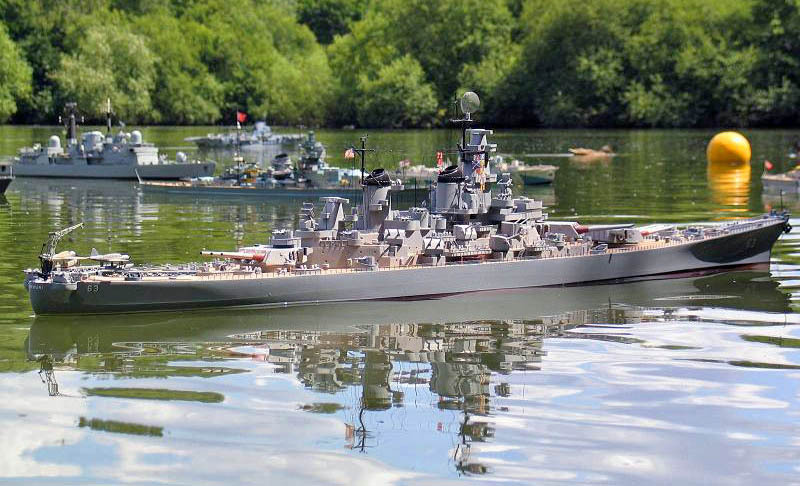 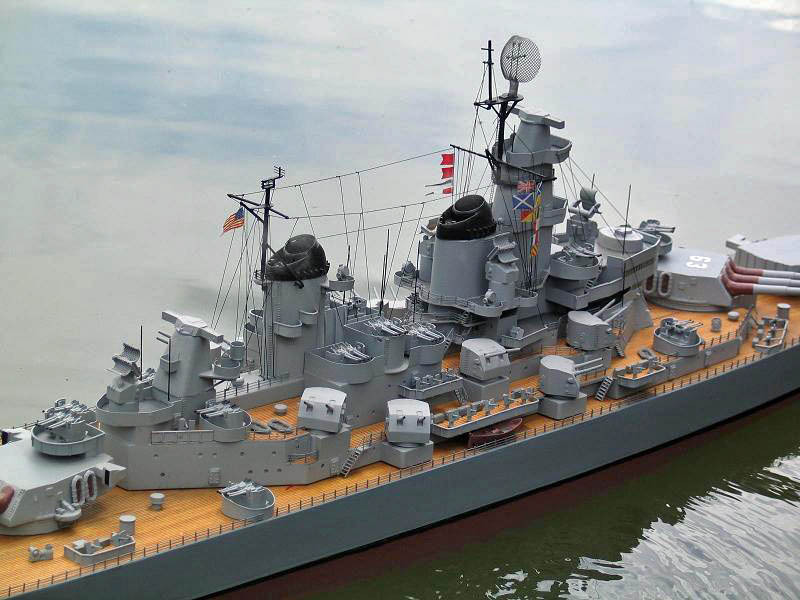 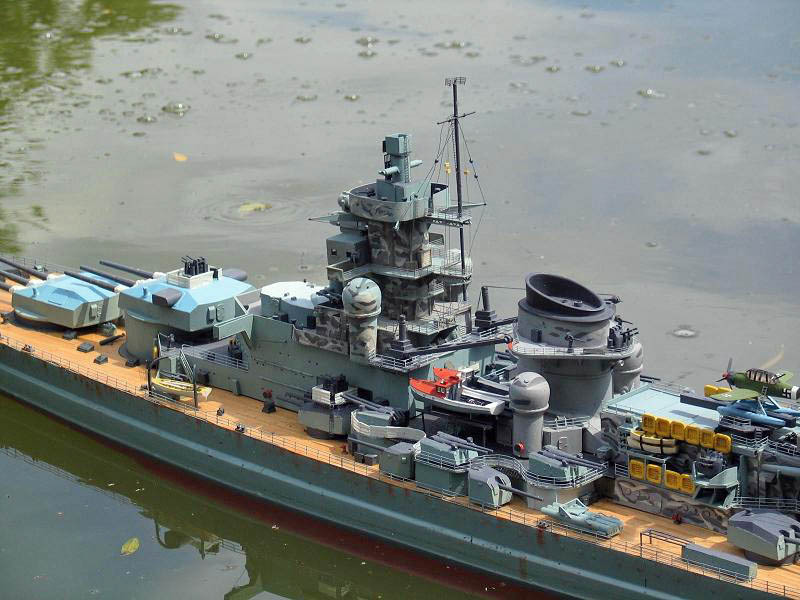 KM Scharnhorst at 1:128 in Operation Cerberus colour scheme was built by Gary Rowe . 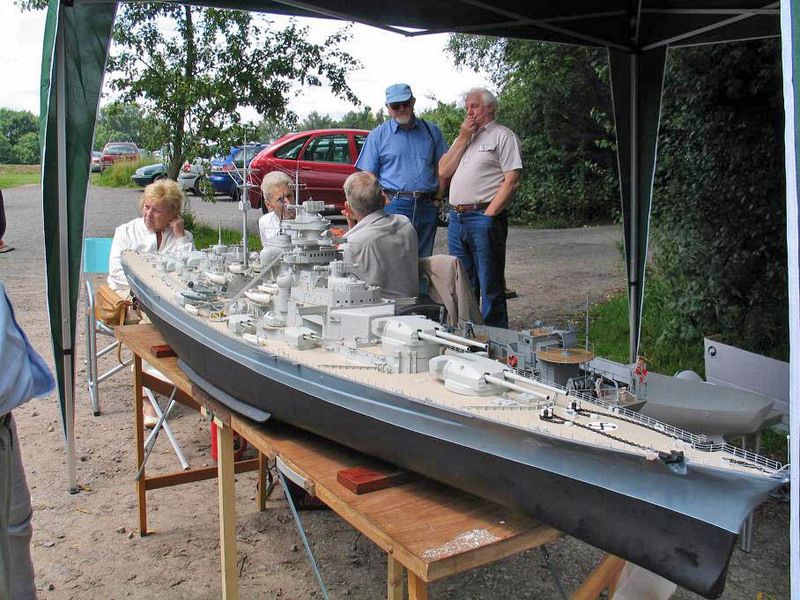 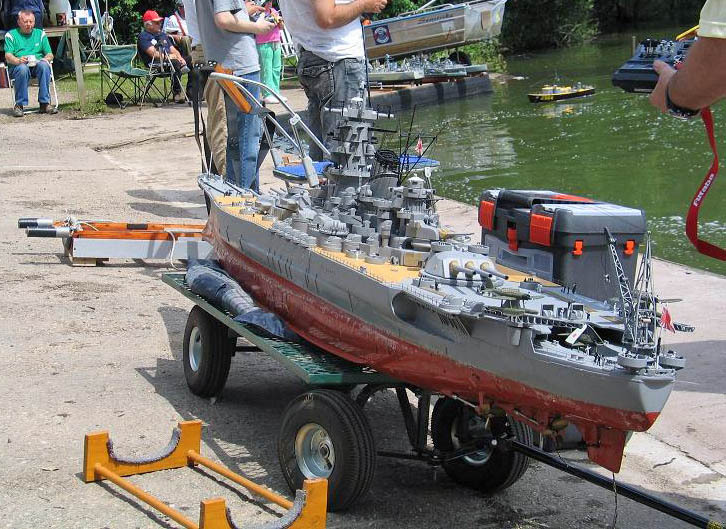 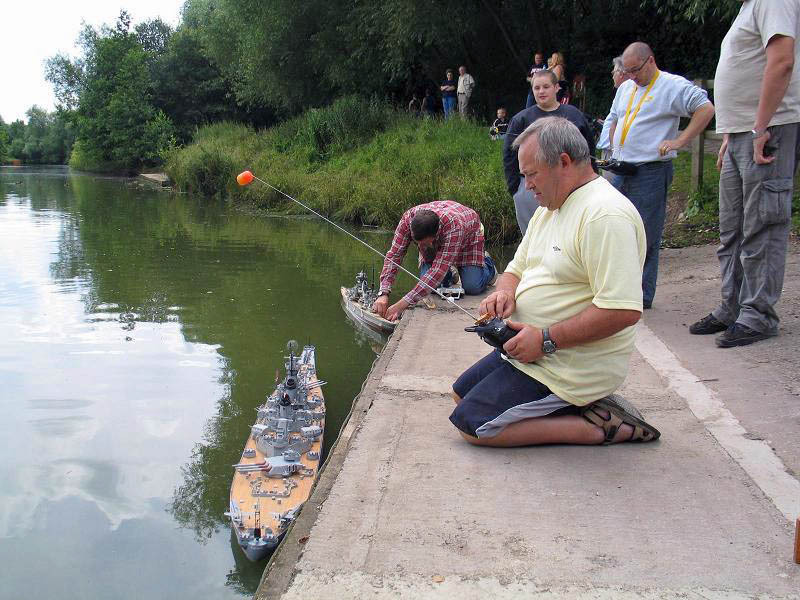 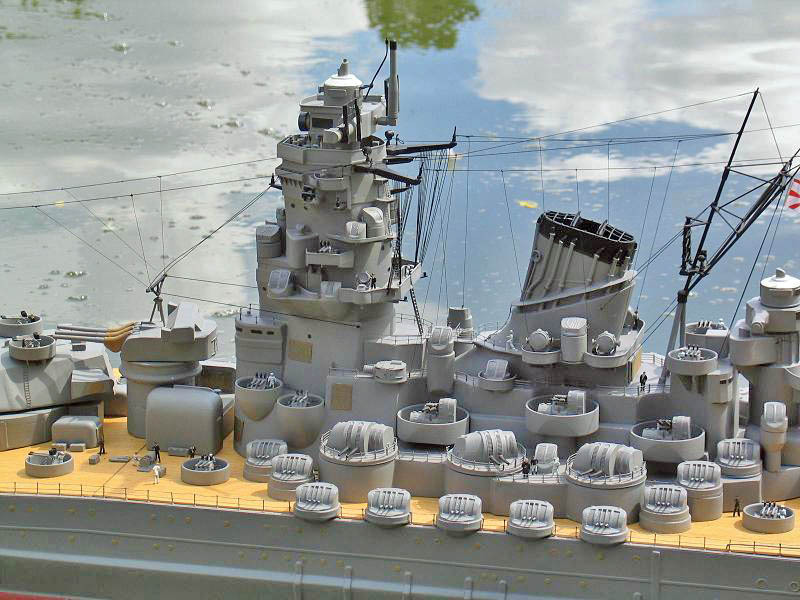 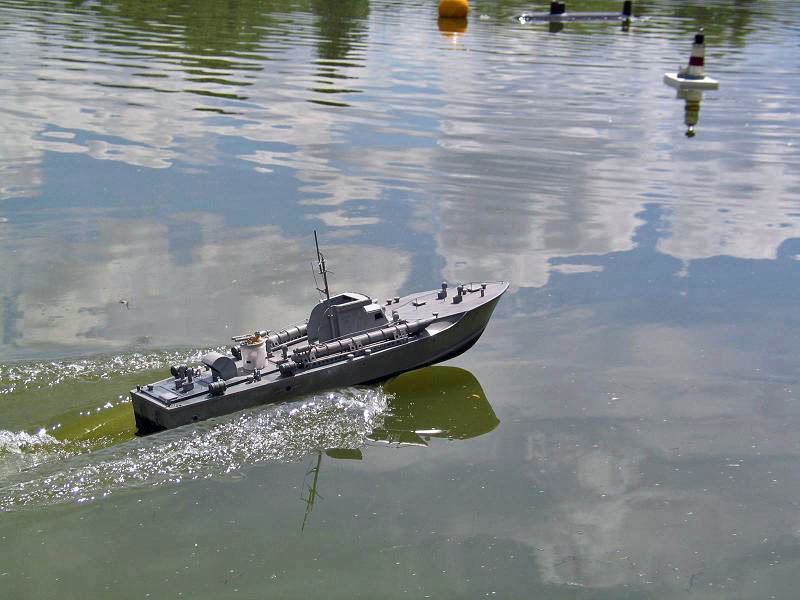 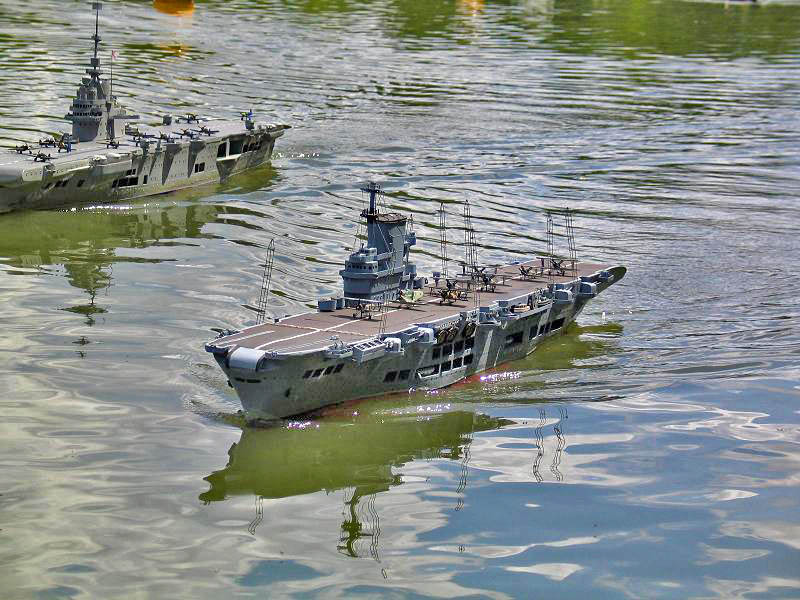 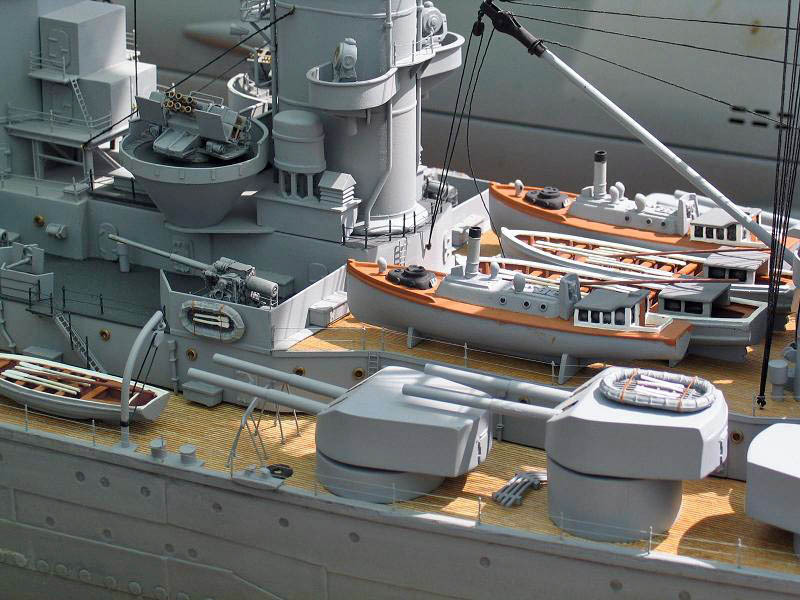 HMS Rodney built up on a Fleetscale hull to 1:128 scale by Steve Higgins.